Debra Burrell CSW is a licensed psychotherapist and nationally-recognized relationship expert. In her more than 25 years as a therapist, she has developed a keen insight into the complex issues that couples face, as well as a good understanding of human nature. She works to help her clients get through their problems and regain a sense of vitality. Debra trained directly with Dr. John Gray, author of the best-seller "Men Are from Mars, Women Are from Venus." 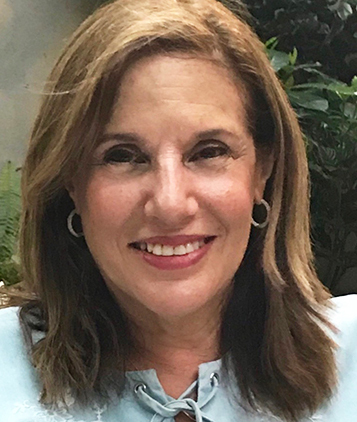 She maintains a thriving Manhattan general therapy practice dedicated to both couples and individuals seeking practical and professional assistance for their personal wellbeing. Over her career, Debra has helped hundreds of people in difficult and problematic relationships. Her clients have discovered that "as you change, the people around you change" to be an accurate and useful concept — even when they enter therapy without their partners' equal participation. She provides an environment of warmth and compassion to people in difficult, embarrassing, and painful situations. She works to ensure that the counseling experience helps people get the results they desire or achieve a good understanding of why they have not. Debra Burrell is an oft-cited professional authority, lecturer, and workshop leader on all aspects of difficult relationships issues. These issues might include infidelity, money disputes, abuse, and lack of sexual desire. She has been acknowledged by Dr. John Gray for her contributions to his seminars. "Love, Shift, Delete: Saying Bye-Byte In a Digital Age"
"... people check social networking sites such as Friendster and News Corp.'s MySpace.com, as well as Internet dating haunts, to see if their ex has met someone new." "Women managers tend to have more of a desire to build than a desire to win..."